Need to lift and tilt sheets? A vacuum gripper securely grips all types of sheets and allows you to control the load with optimal precision. Streamline manual handling, using a vacuum gripper to safely grip, lift and tilt sheets. Sheets of wood, glass, metal or plastic are lifted with minimal effort. Thanks to its innovative design, TAWI vacuum gripper can grip and lift sheets of all materials, up to 500 kg. The ergonomic handle is easy to use and gives the operator full control of the load, ensuring efficient handling of big panels and sheets. The handle ensures an ergonomic working position and helps avoid straining or injury caused by heavy lifting. Increase efficiency in your operations by using the vaccum gripper to lift, tilt and rotate all types of sheets and panels. The tool is easy to integrate into daily work and will streamline manual handling of sheets and panels by making them easy to lift, for everyone. Grip sheets with the tool, lift, tilt and turn them to the exact position where you need them. 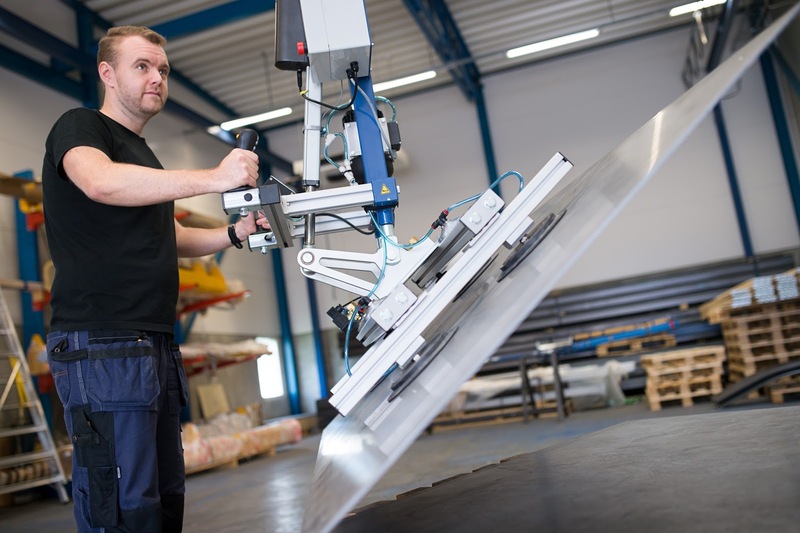 TAWI vacuum gripper allows you to tilt sheets up to 180 degrees, with minimal effort and maximal precision. A user-friendly control board and ergonomic handle makes the vacuum gripper easy and comfortable to use. There is no need to be big and strong, everyone can learn to use the TAWI vacuum gripper. 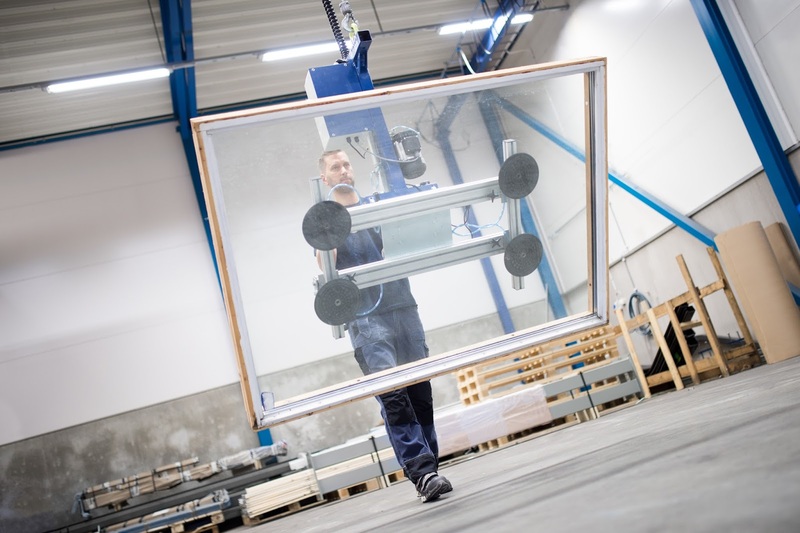 The two handed release function ensures optimal safety and secure lifting of fragile materials such as glass sheets and windows. 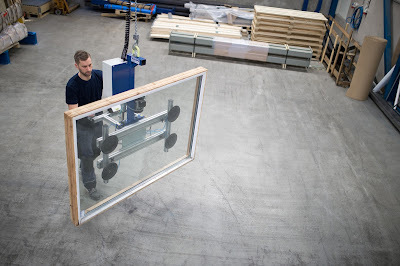 Our vacuum gripper is used in many industries worldwide, often to lift big sheets of metal, windows, doors or wooden sheets. With the vacuum gripper, one person can lift goods that used to require two strong men. Many users also appreciate how easy it is to lift and tilt sheets to a vertical position. Interested to learn how a vacuum gripper could improve efficiency in your business? Contact us today for a consultation.